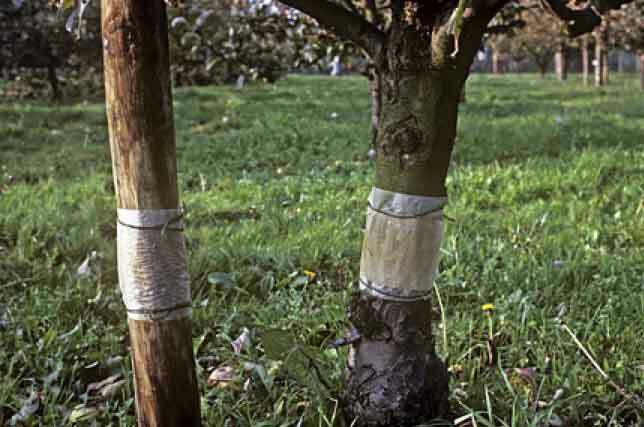 At the end of October into November grease bands or glue bands can be used on fruit trees, especially apples, plums and pears. This is to prevent crawling insect pests, such as winter moths, climbing the trees in autumn, winter and spring where they may lay their eggs and cause damage as caterpillars. 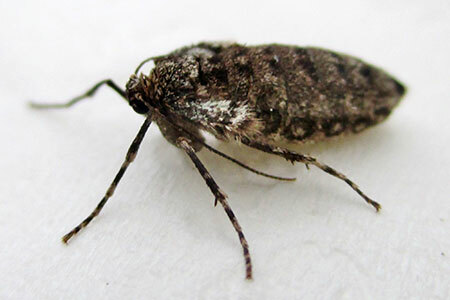 (Winter moths have wingless females that emerge from pupae in the soil and crawl up trunks to lay eggs on branches). The bands should be applied around the truck and any tree stakes about 45cm above the soil. The grease band needs to be kept sticky and free of detritus from late October until April, so might need to be renewed and replaced. As well as DIY and garden centres, Kings Seeds sells them. By gbohne from Berlin, Germany, Wikipedia commons.